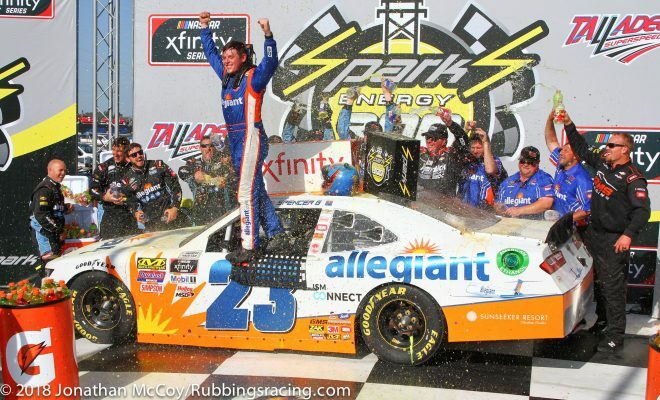 (via NASCAR Wire Service) TALLADEGA, Ala. – Taking advantage of an overtime restart and a fuel shortage that hampered some of the race’s strongest cars, Spencer Gallagher grabbed the lead on the final lap and held on to win Saturday’s Sparks Energy 300 at Talladega Superspeedway. 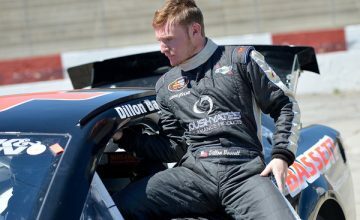 In claiming the first NASCAR Xfinity Series victory of his career, Gallagher crossed the finish line .152 seconds ahead of runner-up Brandon Jones. Justin Allgaier recovered to finish third after running out of fuel under the Lap 105 caution that set up the overtime. The only lap Gallagher has ever led in 49 Xfinity Series starts was the final one at Talladega on Saturday. He’s the ninth different winner in nine races in the series so far this year, and now he can count on competing in the postseason Playoff. 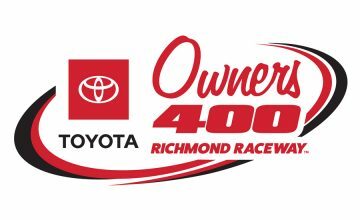 Noah Gragson came home fourth a week after running second in his Xfinity Series debut at Richmond. Elliott Sadler rebounded from a pit road speeding penalty – after he accelerated to avoid John Hunter Nemechek’s spinning car – to claim fifth place and his second straight $100,000 Dash 4 Cash bonus. “The only thing that was going through my mind was ‘I hope to hell this works,’” Gallagher said after surging past Tyler Reddick and Christopher Bell into the lead and blocking for all he was worth on the final lap. “Gosh, I’m so happy right now. GMS Racing (owned by Gallagher’s father, Maury Gallagher) brought such an incredible car here. To qualify this thing third and to race like we did all day, I knew we had some speed. Ryan Sieg, Nemechek, Reddick, Cole Custer and Garrett Smithley completed the top 10. Sadler expanded his series lead to 40 points over second-place Reddick, 47 over third-place Allgaier and 49 over fourth-place Bell, who was shuffled back to 12th at the finish. Jones second-place finish was a career best, and he got it by hustling in the bottom lane after the final restart, as the race went two laps past its scheduled distance of 113 laps. “We all backed up pretty big on the bottom lane (after the restart), and I was really trying to work my side drafts there at the end, and I was pretty weak on that all day,” Jones said. “I knew at the very end there I needed to do that as best as I could, and it was starting to pull that top lane back a little bit, so I thought that was working pretty well. Emblematic of the hazards of restrictor-plate racing was the misfortune of Ryan Truex, who sped on pit road under caution for the end of Stage 1, restarted from the rear of the field and had his No. 11 Chevrolet collected in a seven-car accident on Lap 32. The melee started when Shane Lee turned the No. 28 Ford of Dylan Lupton to trigger the wreck. That contact also turned the No. 60 Ford of Ty Majeski into the outside wall and into the path of Truex, who T-boned Majeski’s car. “On that restart (on Lap 32), the outside line got going really well, and we were moving forward, and I think the 3 car (Lee) was behind us and was pushing me a little bit through that high side,” Lupton said. Gallagher, on the other hand, won’t have to rebound. He’ll just have to survive the party.